Common Sense Media’s service Graphite, which offers independent ratings and reviews of learning apps and websites, has compiled this list of apps and websites that help students learn informally over the summer. For complete reviews, and for each app’s "Learning Rating," visit the Graphite website. 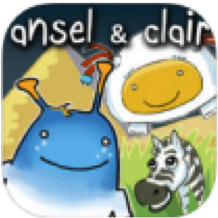 Ansel & Clair's Adventures in Africa is a geography and culture app that introduces kids to the three major regions of Africa: the Nile, the Sahara Desert and the Serengeti. Kids help Ansel (an alien) and Clair (a robot) gather their lost spaceship parts scattered over Africa. They tap interactive objects, listen to the explainers, play learning games and add photos to the in-app journal along the way. By being in charge of their own learning, kids become deeply engaged with the content. 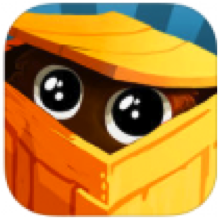 The app is an information-packed, beautifully crafted tool that introduces students to the vast continent of Africa, including its habitats, animals and cultures. Read the full Graphite review. Want to take a trip to the Museum of Modern Art without going to New York City? 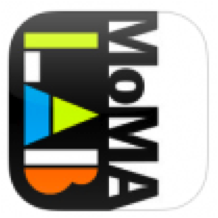 With the MoMA Art Lab app, kids can take a closer look at the museum's collection and get inspiration to make art offline. Included are drawing and collage tools, art inspiration, art activities, a camera for screen captures and a gallery. Prompts provide enough context for kids to get started while remaining vague enough to encourage deeper exploration and informal learning. MoMA Art Lab is a wonderful window into the museum's collection, sharing an introduction to modern art that is accessible for all ages. Read the full Graphite review. 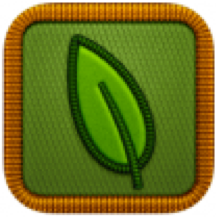 Project Noah is a crowdsourced online database of plants and animals that lets kids become citizen scientists. Kids use the cameras on their mobile devices to capture images, share them through the app (or by uploading them to the Project Noah website) and contribute to a growing, interactive field guide. They also can join specific local or global missions, providing valued scientific data. Project Noah encourages kids to actively observe and learn about plants and animals in their neighborhoods and around the world. While doing this, they're participating in real-world scientific research that supports informal and authentic learning. Read the full Graphite review. 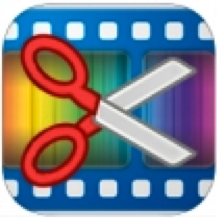 AndroVid Video Editor is a powerful yet easy-to-use video-editing app for Android devices. Editors can trim, split and merge video clips; separate audio from video; add their own music; and add text or special effects. In the classroom, students can create videos across content areas, demonstrating concepts in science, reenacting historical events or creating movie trailers or alternative scenes for books. Creating videos deepens students' understanding of the content they're presenting while empowering them to be creative and personalize their knowledge. 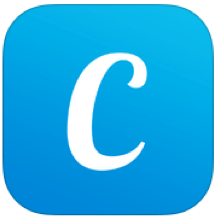 This app is a versatile, must-have creation tool for classrooms using Android devices. Read the full Graphite review. 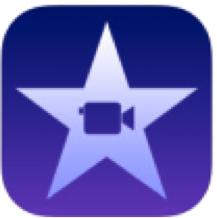 iMovie is a powerful and portable video-production app for creating stunning HD movies and trailers. Kids choose from templates, then shoot or import video, photos and audio. 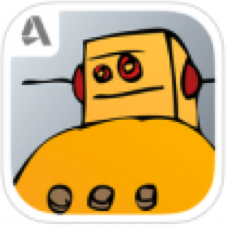 Once kids grasp how the app works, they'll be creating amazing movies and trailers in no time. Their work can easily be shared among Apple devices and online through e-mail and social networks. Not only is iMovie a great movie-making app for any classroom, it's a powerful tool for teaching cinematography, editing, story structure and visual composition. Kids will benefit from the countless ways to use iMovie as they jump into the director's seat and take ownership of their learning. Read the full Graphite review. DragonBox Algebra 12+ is a fun and challenging game that teaches kids how to solve algebraic equations. Kids learn one of the most important concepts in algebra: keeping equations balanced. They learn this by dragging and dropping objects on two sides of a diagram, reinforcing the idea that what is done to one side of an equation must be done to the other. Equations increase in difficulty, and step-by-step solutions are offered for kids who need help. The integration of gameplay with learning is seamless and encourages deeper exploration outside the classroom. Read the full Graphite review. The Codecademy: Code Hour app offers an easy-to-digest, lean introduction to computer programming for teens. It's made up of mini-lessons that offer lots of positive feedback as students work through the nuts and bolts of code. Each lesson consists of quick instruction, a snippet of code and part of the code for the student to manipulate. These steps help build self-confidence about programming, and the app keeps kids interested through encouraging feedback. By the end of the lessons, newly minted programmers can show off their skills by making a Web page on the Codecademy site. These skills have enormous possibilities in our current economy and will instill the confidence kids need to keep learning and building in the digital world. Read the full Graphite review. Instructables is a slick DIY app and how-to Website full of cool projects and contests for older teens. Projects range from making a giant sun jar to baking maple-bacon-cheddar-garlic biscuits to building a homemade arc welder. Contest topics include jewelry, puppets and bikes, and registered users can vote for their favorite topics. Attempting an "instructable" means applying information, testing meaning with real-world objects, making inferences about part-whole relationships and thinking critically. Projects are well-described and empower kids to be successful in their own attempts, building confidence for them to keep improving and learning as they engage in fun, thinking-outside-the-box projects. Read the full Graphite review.